Joyetech Cuboid 200W Review: Welcome… To OVERHANG Park! The Joyetech Cuboid 200w picks up the torch from the outgoing Cuboid 150, adding in a new design, more batteries, and more performance, though the 150W will now do 200w with the most recent firmware updates. The Joyetech Cuboid 200W is NOTHING like the Cuboid 150W, however, with a completely new design language that has been applied, more or less, across the length and breadth of the device. On first impressions, I liked what I was looking at; it is slim and smart-looking, but it is rather heavy in the hand. 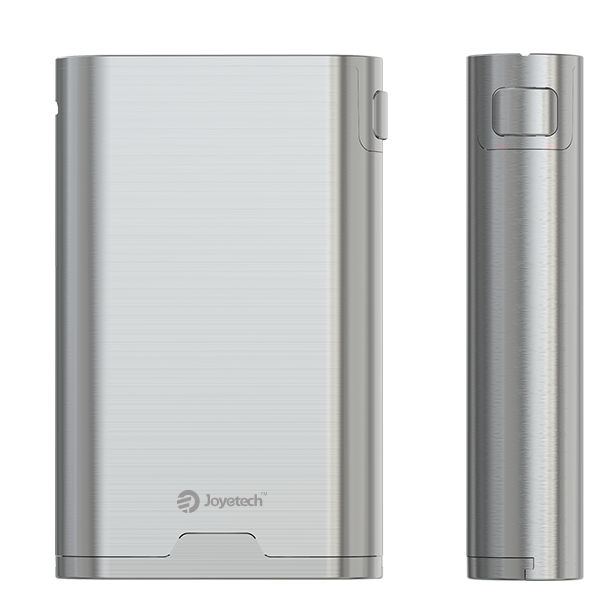 But there is a good reason for this: the Joyetech Cuboid 200W now runs three 18650 cells. Is the Joyetech Cuboid 200W any good? Or are you better of with something else entirely? Read on for my full review. As you would come to expect from Joyetech, if you have used a few of their mods and tanks, the box is standard for them, plain white and sturdy box coupled with a picture of the device. It’s all rather boring if you ask me, especially when you compared to how the brands package their hardware, but hey, I guess it’s just a box at the end of the day, right?! As mentioned, Joyetech have completely redesigned the Cuboid 200W. 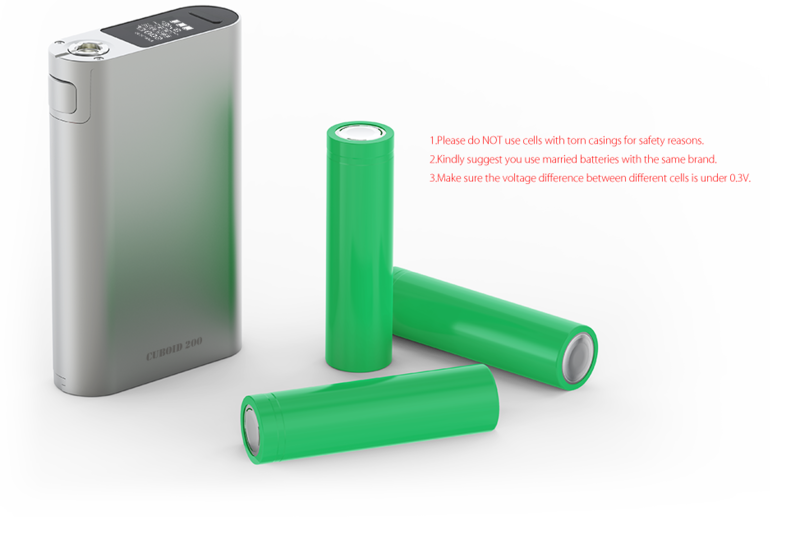 It has almost nothing in common with its predecessor, as it’s been made taller and longer in order to accommodate the additional battery. The OLED screen has been moved to the top of the device, which is a rather nice touch. It’s very handy for quickly adjusting and managing the mod on the fly. This is definitely an improvement over how the display was implemented on the old version. 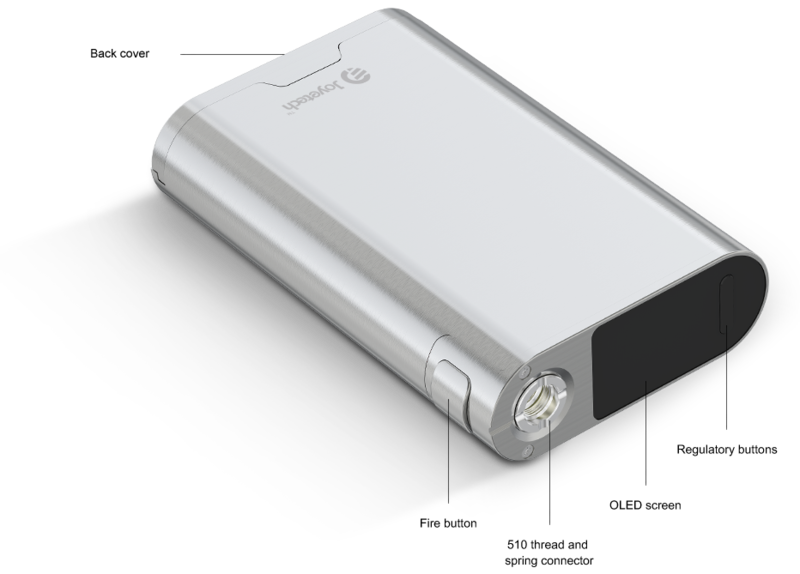 The Joyetech Cuboid 200W is a very slim device, and while this is nice from an aesthetic standpoint, it does have its downsides. For instance, any tank larger than 22mm looks frankly ridiculous on it, as there is way too much overhang. And if you’re using a high-power mod, chances are you’re rocking a fat RDA/RDTA/RTA and/or Sub-Ohm tank, so, yeah, that’s kind of silly because no one likes overhang. Not on a mod, and certainly not in late-2017 when 99.9% of tanks are bigger than 22mm. 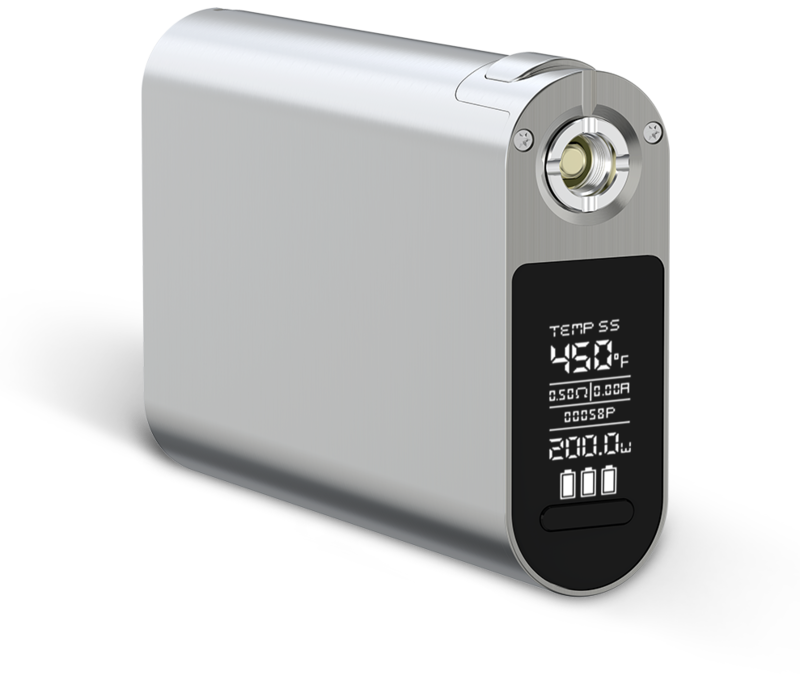 The fire button is on the slim side of the mod under the 510 connections, its sturdy and responsive – all you could really ask for from a fire button. The navigation buttons can be found just under the screen on the other side and are, again, very solid and responsive. The whole mod feels really solid and sturdy in the hand, basically. The only area that lets it down is the battery door; it’s freakin’ impossible to get back on after you’ve removed it. 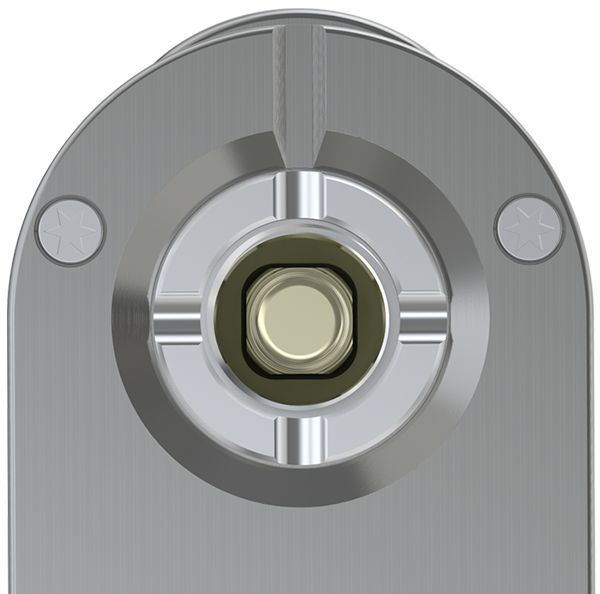 Instead of the traditional hinge approach Joyetech have using a sliding magnetic/slot approach. And this, for me, created more problems than it solved, as once it’s off it is very difficult to slide back into its correct positioning. You have to be very precise and, when you’re talking about a battery door, that’s kind of annoying. As I said in the introduction, the Joyetech Cuboid 200W is VERY heavy. More so than any other mod I own; and I have a fair few three-cell setups. In addition to this, it’s also top heavy and falls over ALL the time. And when it falls, you’ll know about it, even if you’re upstairs, because it makes a right racket. All told, I’m kind of at something of an impasse with the Joyetech Cuboid 200W. 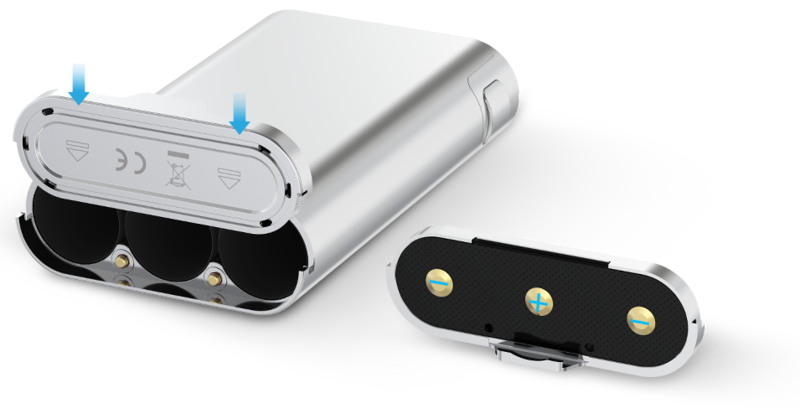 I like elements of it, but other things – the battery door, its top heavy nature, the weight – would definitely make me think twice about buying this mod. I also can’t really get around just how much it looks like a power bank charger for a phone. Design flaws aside, the Cuboid 200 performs very well. The additional battery really prolongs how long you can go between charges as well as an additional power boost (both good things). It’ll also run pretty much any style of tank, providing you don’t mind overhang too much, as there’s plenty of grunt under the hood. TC is also covered and works really well in practice, if that’s your bag. I tested this with a SMOK TFV8, Limitless RTA and a Cleito EXO with no issues what so ever. No misfires or problems, just straight to your desired wattage. This is a heavy-hitting mod, and it is well priced too, so if you’re in the market for a three-cell mod, this should definitely be on your list. I just don’t think it is as good as the Wismec Reuleaux RX300, though both options are VERY chunky.